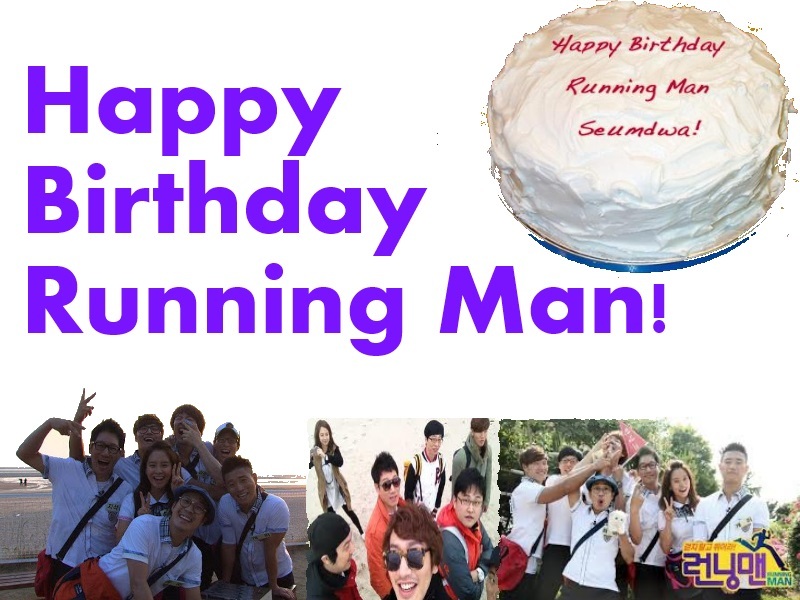 Happy Birthday Running Man! July 10th marked the third anniversary of the first airing of Running Man. My how time flies! Here is hoping Running Man continues their success for many years to come (at least twenty years. Is that too much to ask?). Nice to Meet You Haroro Junior! It seems like somebody did not realize the pain of childbirth until he saw his wife go through it. Not that his observations and subsequent feelings are a bad thing, but it just stood out to me. But how romantic that he cried at his wife’s pain! Seriously, these two! Dream has been the name the couple referred to the baby as prior to birth, in fact they had couple necklaces made days before his arrival that spelled out their roles as Dream’s Mom and Dad. Awwww! Whatever name they choose I am certain that this is going to be one funny kid. 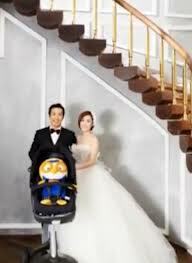 Congrats Haha and Byul! That’s right Yoo Jae Suk has been found to have the golden ratio. In terms of physique the ratio applies if your head is 1/8 of your body. Which is the case for Running Man’s grasshopper. 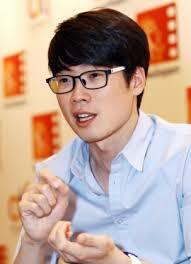 Congrats for fulfilling a centuries old formula Yoo Jae Suk- I knew that is why I love you so much! YG recently lifted their ban on variety shows (yay!) which has made it possible for 2NE1 to appear on episode 155 of Running Man. 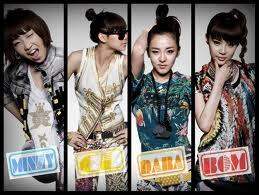 In July 2012 the women of 2NE1 were in talks to appear in an episode however the deal fell through. I have not found BTS pics so far but I am excited to see how this episode turns out. What are your thoughts on commemorating the third anniversary? Neither Yoo Jae Suk nor I could’ve imagined that we would last this long. (laughter) We’re very grateful. We always discuss ideas and try to attempt new things every week. Sometimes we get a good response. We’re thankful to the viewers for helping us for the past three years. Is there a special episode planned to mark the occasion? We’ve already shot episodes that will air past the three-year mark. However, we’re still debating whether or not to prepare a special anniversary episode. If we film a special episode, the expectations would be very high. But we do think that if we can come up with something to fit the occasion, we should film it. What episode is the most memorable for you? The superpower episode remains the most memorable. Everything fell together remarkably with what we had planned in advance, and we began to understand that a story could be told within the games themselves. Prior to that, our games were very simple. The members could make their own stories as well. The foreign specials were also very memorable, especially the ones with Park Ji Sung. He was someone who we wanted on our show for a long time, and the members all liked him. We all became very close after that, so it was easy getting him to guest again. The second time, there were many parts that were even better than the first, so we’re very satisfied. What guests were the most memorable? Park Ji Sung was the most surprising. I had no idea he could talk that well. When I first went to England to meet him, he had an amazing sense of variety. Even Yoo Jae Suk told him he should do variety more. Choi Min Soo is also someone I’m thankful towards. He was very good at livening up his character, putting suspense into ‘Running Man’ in the process. He was very memorable. Also, I was very surprised with Jung Woo Sung — I was expecting a very manly, charismatic character, but as we filmed together, he had many fun moments. Apart from them, Son Ye Jin, Gong Hyo Jin, Han Hyo Joo, Suzy, and Sulli were all highlights. This is true for most guests, but viewers tend to like guests who participate intensely in the filming. I was very moved by that. When do you think ‘Running Man’ began gaining traction? I think the turning point came with our first foreign filming. Around that same time, we were planning on making many changes. Before that, filming went from dawn until evening, and we thought we could do things another way. We decided to break out of the system of filming in only one particular location. The first episode with the new system was the ‘Queen Bee Race’ with Noh Sa Yeon and Goo Hara, which was our first implementation of the ‘race’ mechanic. It received a good response from the viewers, and we also used it in our Thailand excursion. There was also the positive trait that we could show off many landmarks in one episode. Your popularity is strong abroad as well as domestically. I’m curious about that too. (laughter) Many foreigners say our show is fun and the fact that we have new ideas every week is something new. There’s also a lot of intensity and humor, so maybe that’s why it’s getting so much love. Honestly, it’s hard to film overseas nowadays. (laughter) So many people show up, it’s sometimes hard to carry on filming. ‘Running Man’ is gaining attention internationally — does it put pressure on you? The pressure was there from the very first episode. (laughter) After we got popular, the producers share a lot of discussion about ideas. Since we have a large amount of young viewers, the ideas hold a lot of merit. So there’s a lot of pressure and stress about that. (laughter) Since we have to produce within the limited space of games, we only think about how we can further improve and grow ideas. What’s the secret behind the powerful guest casting? At first, it was hard finding guests to come on the program, since there was talk that it was hard work and nothing else. In a game format, finding characters was the toughest thing. In everyday situations, it’s easy to establish personalities, but harder to do while playing games. The cast needed to play games and draw from their characters at the same time, so we didn’t want to impose unnatural characters on them. After a while, the characters began to form, and along with that came an atmosphere that guests felt comfortable participating in. After that, I think guests think very comfortably of ‘Running Man’. In fact, we tell them to just show up and have a good time. Since a lot of great guests have been on our program, many people come to us first with interest in guesting. I think this creates a positive feedback loop. Among SBS programs, ‘Running Man’ has lasted for a long time. It’s all thanks to the members. 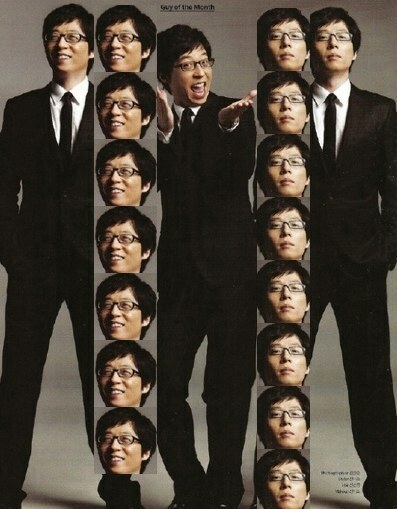 Yoo Jae Suk is wonderful at creating the perfect balance. Kim Jong Kook has a strong image on air, but takes care of everyone behind the scenes. So all of the members became friendly with each other. The scriptwriters and producers are also working hard to plan new items. We all share a drive to try something new, and I think that gets reflected with the viewers. Do you have any plans to implement changes in the program? Rather than guests, we’re getting the idea that we might need to try different kinds of games. We need to develop new weapons, but it’s not as easy as we thought it would be. Since it’s been three years, we hope to bring a new kind of ‘Running Man’ soon. What sort of program do you want to be remembered as? A really, really fun program. I don’t hold any other thoughts. Although there are a lot of programs with values and deep thoughts, I want to make ‘Running Man’ into just a plain, fun show that allows viewers to drop everything in their real lives and laugh. The first fifteen minutes of the first episode in honor of Running Man’s anniversary! RM fighting!